So just recently, someone approached us and basically just told me that I am looking younger. Of course, if it was someone else, they'd be jumping with joy. But because it was me, the-ever-skeptical-ME, I was not so sure on how to react. Being in a circle of friends that loves to bully a lot, I sometimes have a hard time distinguishing which are compliments and which are sarcasms. Like there's this one time I had my hair cut really short. A friend said, "Hey, your hair looks nice. It looks good on you." I don't know if he meant it or he's just being sarcastic. Does my hair really look good? Does it look good on me because my short hair matches with the short me? Is he complimenting me because he felt sorry for my haircut? I don't know if I should be flattered, embarrassed or insulted whenever I receive a compliment. And then I end up over-analyzing things. Was that a real compliment? Was he indirectly insulting me? This is why I am never good in taking compliments. 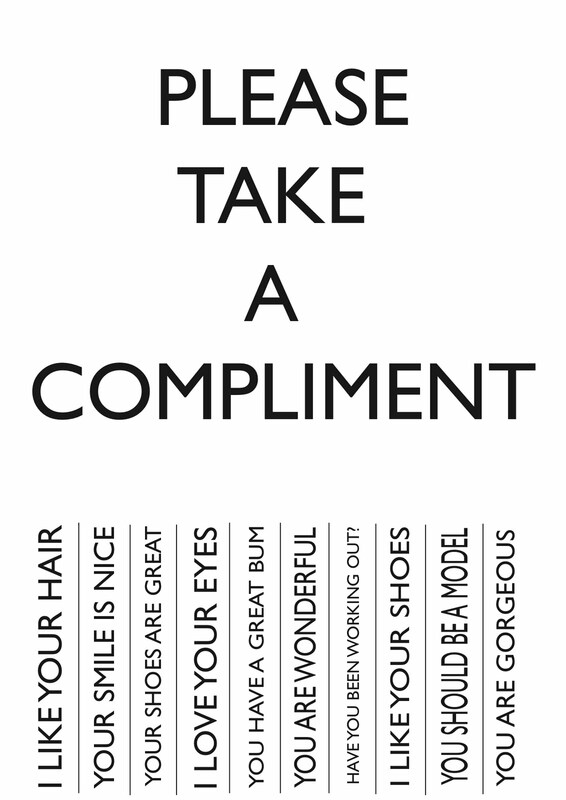 Was there any instance you had trouble responding to a compliment?